Posted from Tsim Sha Tsui, Kowloon, Hong Kong. A dreary, chilly November morning in Hong Kong. After a 16 hour flight and only 45 minutes of nap on a hotel bed, what I really need is comfort food. Just as I’m about to jump in the shower, my mother in law enters the room with several steaming bowls of congee. 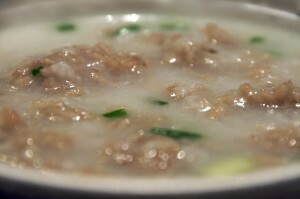 Congee is the ultimate in comfort cuisine. A simple rice porridge, it takes on the flavors of whatever is added. 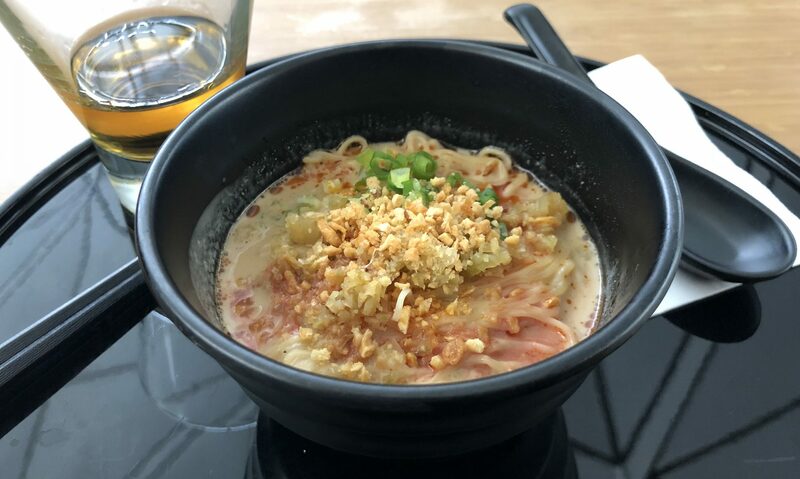 It’s a truly heartwarming dish that sticks to your bones. In this case, it had beef meatballs along with the traditional scallions and white pepper. But what truly set it apart from anything I’ve had in the states was the ginger slivers. This added a wonderful flavor to the dish that helped me wake up feeling refreshed. Needless to say, I gobbled it all down.